After a few months of hard work, the project is progressing nicely, and prior to the official announcement of our C-101 project (coming soon! ), we want to present to you a short teaser video showing the behavior of the simulated TARSYN start-up. Stay tuned! flight model for C-101 AvioJet and future projects. proyectos. Se requiere una base sólida en ingeniería. Por favor contactar vía mensaje privado. Deseable buen nivel de inglés, hablado y escrito. un anuncio al respecto pronto. Another work-in-progress preview prior to the official presentation. VALENCIA, SPAIN – May 22nd, 2014 — AvioDev have announced their attendance at the IWM Duxford D-Day Anniversary Airshow (May 24th and 25th 2014) in co-operation with VEAO Simulations Ltd.
AvioDev will be demonstrating their C-101 AvioJet at the airshow in Hangar 2, where the general public will have the opportunity to try the product and ask questions. AvioDev is based in Valencia, Spain, with its development team located in Spain and the United Kingdom. AvioDev create high-fidelity add-on aircraft for the Digital Combat Simulator platform. some photos from VEAO on Duxford show the C-101 of AvioDev. We are excited to announce to the community our first project, the CASA C-101 "Aviojet". The CASA C-101 Aviojet is an advanced jet trainer and light attack aircraft, entering service with the Spanish AF in 1980.The C-101 was also operated by the Air Forces of Chile, Jordan and Honduras. 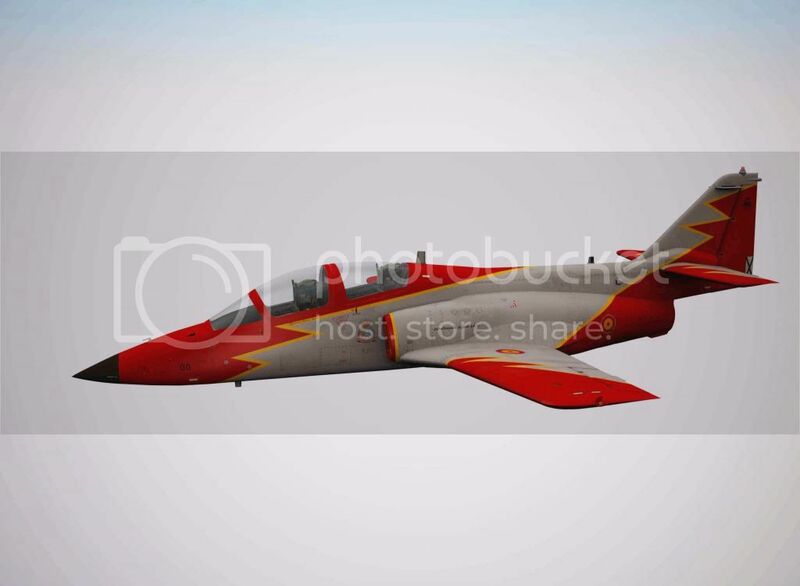 Through many years of service, the Aviojet has proved itself as a reliable aircraft, being an excellent platform for training and aerobatic flight, and is used by the premier aerobatic team of the Spanish Air Force, the Patrulla Águila. Development on the C-101 was a painstaking task, in order that the models, textures, and systems accurately matched the real aircraft. Thanks to working directly with pilots and technicians of the real aircraft, we are able to bring you an exceptional simulation. At the current time, the aircraft has been developed with SFM and full clickable cockpit, but AFM is planned, and we are currently looking for an AFM devolper to create the flight model for our C-101 project, and possible future projects. If you would be interested in this position, please contact us via PM. Our C101 project teaser: Recommended to watch it in 1080. We are very excited to make this announcement regarding the C-101! The following is an overview of the systems modelling. * GPU All systems are tied to their respective busses, and circuit breaker(s) where installed. Items marked as WIP are experimental, may be missing, broken, or will not make it into the final product. THIS LIST IS NOT EXHAUSTIVE, AND EVERYTHING IS SUBJECT TO CHANGE. We hope you enjoyed reading some of the key features of the C-101 systems and depth of modelling. We aim to bring you the highest fidelity systems simulation possible, thanks to advice and feedback from our real-world pilots and maintenance technicians. We are extremely grateful for their help. 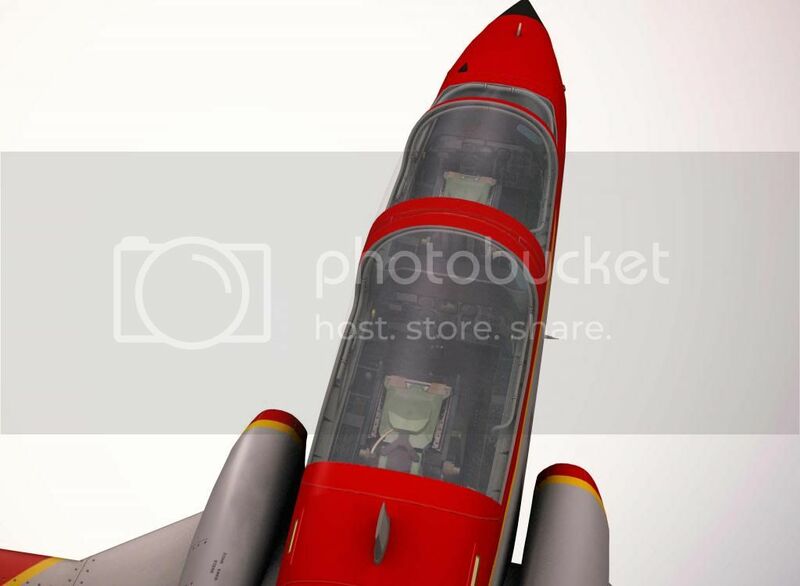 C-101 AVIOJET MODEL PREVIEW We are pleased to showcase our cockpit and external models to you! Please note that everything is still WIP and EVERYTHING IS SUBJECT TO CHANGE. Enjoy!! Un par de capturas del C-101 en EDGE (el nuevo engine para DCS:World). El C-101 se encuentra en fase de testeo interno, antes de ser enviado a los testers de ED. A couple of screenshots of the C-101 in EDGE (the latest terrain engine for DCS:World). The C-101 is under-going final internal testing prior to being sent to ED testers. The C-101EB with the Chile colours! Tomorrow starts the test phase on the EB version, being in a very advanced status. After this week, we are going to start the CC version, which inlcudes the capabilities to carry weapons, an engine upgrade, and new systems. It's going to be very interesting to fly both versions! Primera foto (WIP) de la cabina del C-101CC. Encuentra todas las diferencias con el C-101EB! Ambas versiones formarán parte del mismo producto C-101 para DCS World. First picture (WIP) of the C-101CC cockpit. Spot all the differences with the C-101EB! Both versions will be part of the same product C-101 for DCS World. 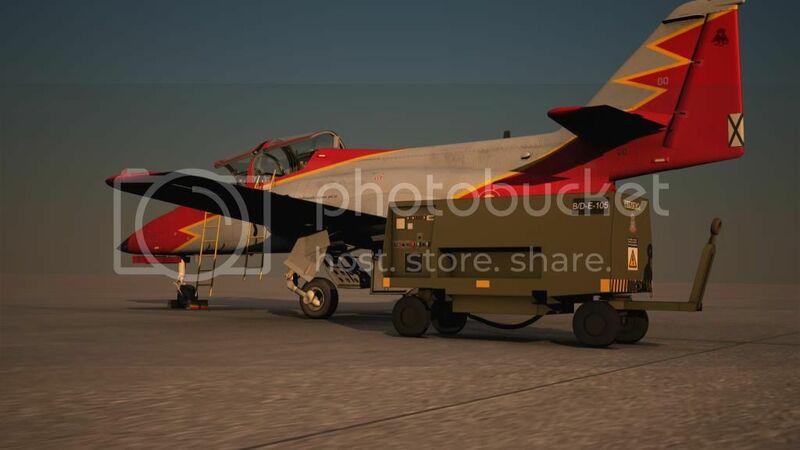 VALENCIA, Spain, December 31th, 2014</ b > - DCS: C-101 Beta will be released on January 15th, 2015! Lanzamiento de DCS:C-101 Beta el 15 de Enero de 2015! DCS: C-101 will include both the C-101EB and C-101CC models. The C-101EB model is the primary jet trainer and aerobatic display aircraft of the Spanish Air Force, whilst the C-101CC model, with its 7 hard-points and uprated engine, is a versatile light attack aircraft that has seen combat with the Honduras Air Force against drug traffickers. 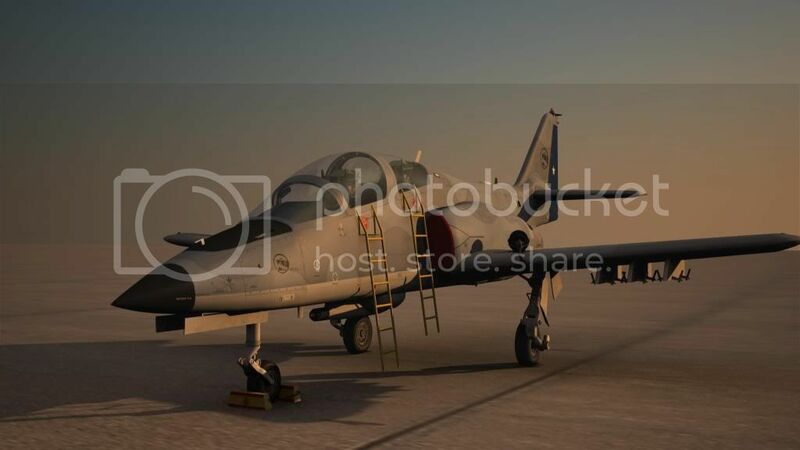 It is also in service with the Jordanian and Chilean air forces. The two models of the C-101 have many similarities that include cockpit layout, core-systems operation, and aerodynamic design. This commonality brings something for everyone to include lead-in jet training, advanced aerobatics, and light attack. The C-101EB model is now complete, with the light attack C-101CC version close behind. The AvioDev Technical Team is comprised of rated pilots and engineers that are dedicated to providing the highest level of accuracy and realism. The Beta of the C-101CC is scheduled to be released by the end of February 2015. Advanced flight models are currently in development and will follow the release of the C-101EB and C-101CC. This exceptionally detailed and realistic world simulation engine guarantees an engaging, real-world combat experience in this flashpoint region. DCS is a true "sandbox" simulation that can and will cover multiple time periods covering many types of aircraft and ground vehicles. DCS World allows both realistic game play and more casual play styles to suit the player. AvioDev are a group of engineers, cartographers, electronics specialists, active commercial and military pilots, and technicians. AvioDev develop simulation software for both the entertainment market, and professional flight training. By combining their respective skill-sets, and shared passion for all things aviation, they deliver market-leading training solutions.